Made using carefully-selected ingredients, resulting in an exceptionally luxurious mixture. We have worked hard to ensure this mayonnaise’s deliciousness, drawing out its richness and natural umami flavors. Each bottle is 300g. We have worked hard to ensure this mayonnaise’s deliciousness, drawing out its richness and natural umami flavors. Safe eggs and quality ingredients are the secrets to the mild umami flavor of our mayonnaise. The rapeseed used in the rapeseed oil in this product is not genetically modified. 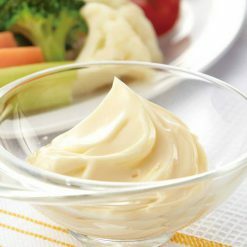 Mayonnaise is used very differently in different parts of the world. In America, it is frequently used in dishes such as potato salad or as a spread in sandwiches, while in Japan it is often used on pizza. If you have friends living in other countries, they may have some new and fun ideas for how you can use mayonnaise! Seasonings such as mayonnaise can be a crucial part of a meal, turning plain food into a delicious experience. After all, sometimes we only think we don’t like certain foods because we haven’t tried them with the right seasoning! Sugarlady’s mayonnaise and other seasoning products are safe and free of chemical seasonings and additives, letting the true, natural flavors of the ingredients themselves shine – and allowing you to enjoy your meal without worry. 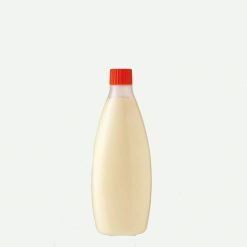 After opening the bottle, firmly replace the cap, store in the refrigerator (below 10℃), and consume within 30 days. If the mayonnaise gets to be 0℃ or colder it may separate, so please store with care. This product contains rapeseed oil, chicken eggs, brewed vinegar (contains apples), table salt, sugar, spices.. This product is not suitable for anyone with allergies to egg or apple. The recommended shelf life for this product is 7 months.